Obituary for Constance J. Prince | Grenoble Funeral Home, Inc.
Constance J. Prince, 72, of Montgomery, died Thursday, November 23, 2018 at her home. Born July 16, 1946 in Williamsport, she was a daughter of the late Lamont and Mary Jane (Straub) Keiser. On July 12, 1969 she married Walter Prince who preceded her in death on August 31, 2017. Together they celebrated 48 years of marriage. Connie was a graduate of South Williamsport High School. She worked many years as a floral designer at the former Riverside and Bi-Lo, Muncy. 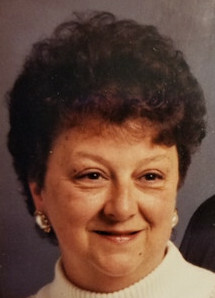 Connie later worked in customer service at the former Hill’s and Ames, Williamsport. Connie enjoyed cooking, baking, floral designing, and crafting. She cherished the time spent with her family. Her grandson was her pride and joy. Surviving are one daughter, Holly Prince-Kessler and her husband, Doug, of Montgomery;one son,Steve Prince and his wife, Stephanie, of Montgomery; and one grandson, Steven Prince II. In addition to her parents and husband, she was predeceased by one brother, Ronald Keiser. If friends so desire, memorial contributions may be made to Lycoming Animal Protection Society (LAPS), 195 Phillips Park Dr., S. Williamsport, PA 17702.